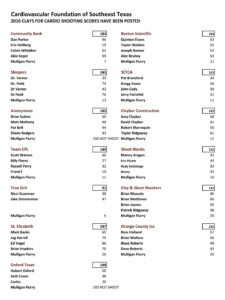 Clays For Cardio 2016 Scores Are In! Thanks to everyone who participated and sponsored this event. Everyone had a blast and though every team didn't win, we all went away winners for participating in a great cause! Click on the link below to download the results. 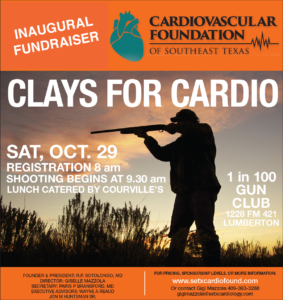 Download Results | PDF … [Read more...] about Clays For Cardio 2016 Scores Are In!